Matt Martin is definitely not afraid to take a position on and off the ice. 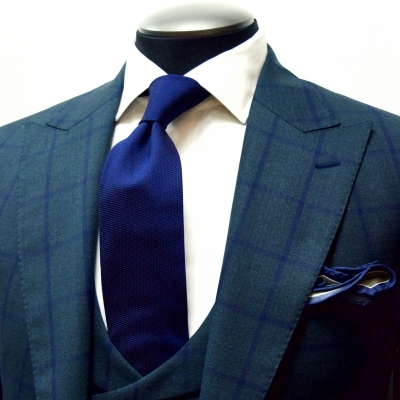 When it comes to his clothes, they need to fit well and look great. 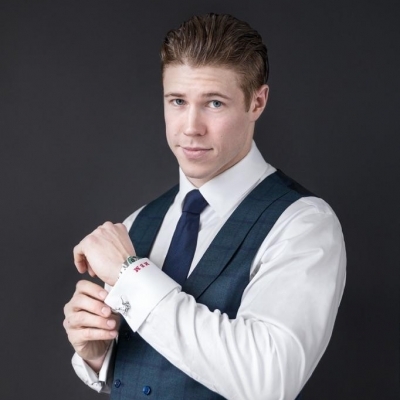 Matt Martin – hockey player and King & Bay ambassador. 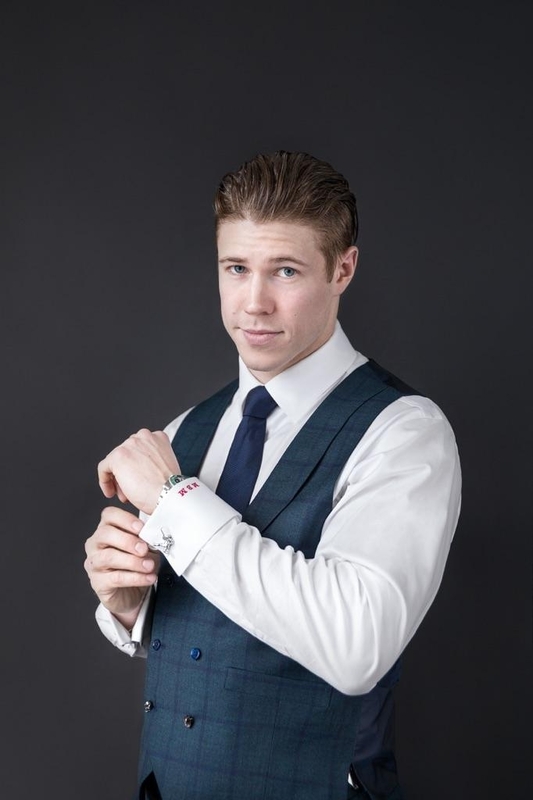 Matt Martin was referred to us by a friend who also shops with King & Bay. On-ice, Matt is an enforcer for the Maple Leafs. Off-ice, he is a man with style and a great ambassador for King & Bay. 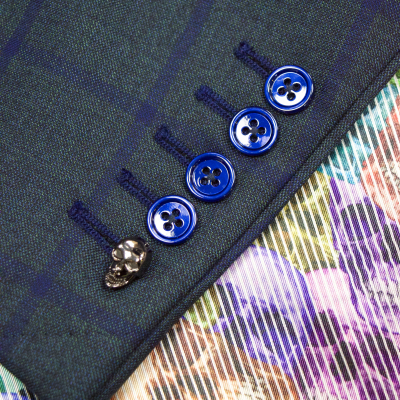 Matt has been a long-time fan of custom made men's clothing. With his athletic build, he's doesn't fit into off-the-rack garments. But it wasn't until he found King & Bay that he really understood how perfectly his garments could fit. 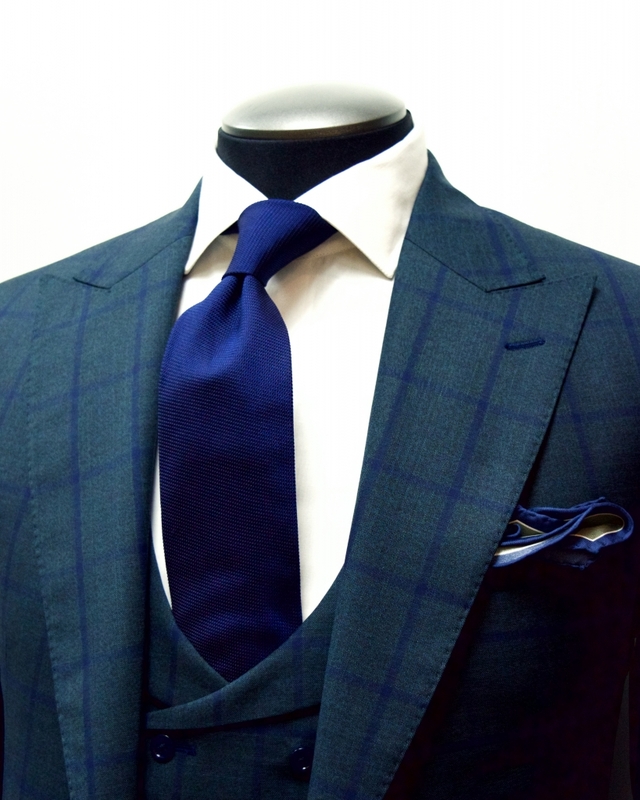 Matt loves our attention to detail, quality of fabric and the unmatched fit he gets from our Master Suit process. For the formal part of the NHL Centennial Winter Classic, Matt wore a deep merlot raw silk jacquard Smoking Jacket. 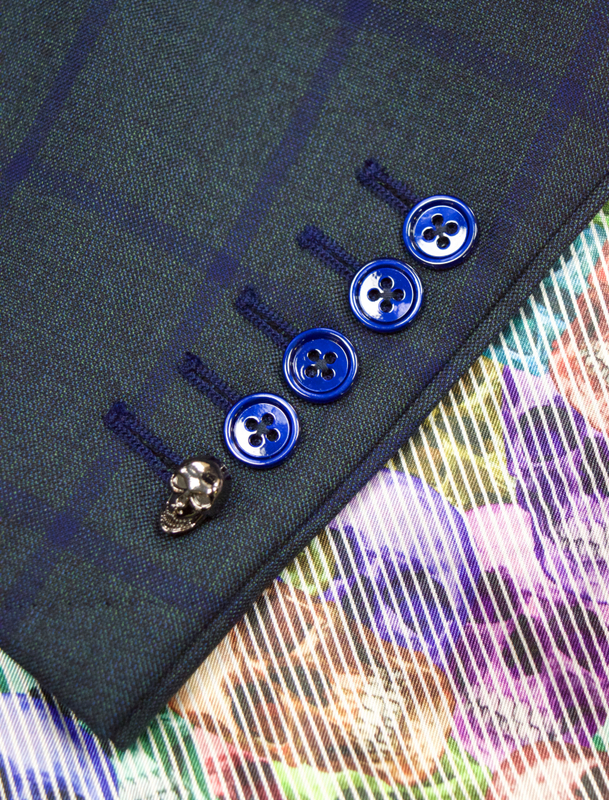 For the same event, he also ordered a forest green windowpane 3 piece suit with skull button details on the jacket sleeve. 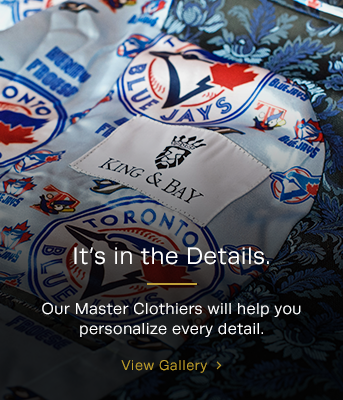 Since then, Matt has referred many of his teammates to King & Bay and has been a great ambassador of the brand. As an enforcer for the Toronto Maple Leafs, our client Matt Martin is definitely not afraid of taking a position. Off the ice, Matt has been a tremendous fan of King & Bay, because, in addition to helping him look great, we help him feel really good in his clothes.